Over 50 attendees joined us for our Capitol Advocacy Day on April 10 at the California State Capitol Building in Sacramento. 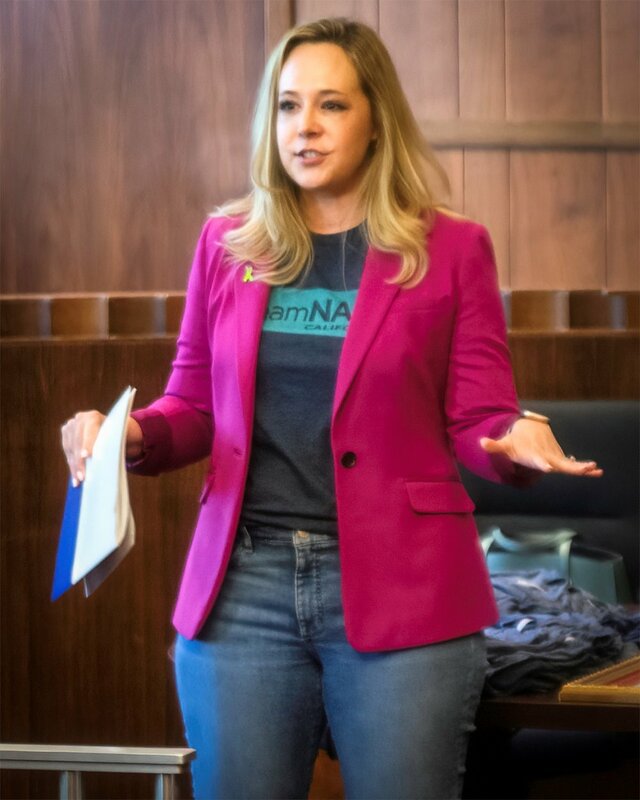 The event was organized to help raise awareness on mental illness among decision makers for NAMI California members' priority issues, such as access to treatment, housing, crisis services, criminal justice, and family involvement. Eight groups broke out to discuss Assembly Bill 680 – funding for crisis intervention training – and Senate Bill 539 – creating a workforce education and training (WET) trust fund. The two-hour group slots also allowed these individuals to share their stories and advocate for the priorities of the families NAMI California serves.